Our Supporting the Sector work involves many different pieces of work at the national level. However, there are also a number of other topical issues that we are working on in the short or medium term. This page gives an overview of just some of these. The government, on behalf of the public, has an interest in making sure that the education that happens at colleges and universities is as good as possible. To do this, there are two agencies that exist to oversee quality processes – Education Scotland in colleges, and the Quality Assurance Agency in universities. Each of these agencies oversee particular principles, guidelines and processes, and these are often referred to as the ‘Quality Arrangements’. The current set of Quality Arrangements have been in place since 2003. The college and university sectors review their respective arrangements every few years, and both have undergone a review over the last couple of years. In December 2016, the new quality arrangements for colleges were published by the Scottish Funding Council. Arrangements for assuring and improving the quality of provision and services in Scotland’s colleges sets out how colleges should develop their annual Evaluative Report and Enhancement Plan. These evaluate colleges’ progress against Education Scotland's new quality framework How good is our college? and against colleges’ regional outcome agreements. Integrate with SFC outcome agreement monitoring. Develop regional approaches to the management of quality. Strengthen college ownership of evaluation and planning for improvement. Provide external challenge and validation. Delivery of learning and services to support learning. Active participation by learners in self-evaluative activities in an important contributory factor in these new arrangements and we are pleased that How good is our college? Indicators have been mapped to A Student Engagement Framework for Scotland. Each key principle is underpinned by a high-level challenge question and related quality indicators. sparqs have created a short mapping document which pulls out the supplementary challenge questions under each quality indicator which relate to Student Engagement and maps those questions against the five elements of the Student Engagement Framework. We hope colleges find this mapping document useful. As colleges continue to use the new framework, sparqs is working with students’ associations and colleges to support effective learner engagement with the arrangements. On 26th January 2018, we delivered a session on how student engagement could be further embedded into the new arrangements at the CDN “How Good is Your Quality?” conference. The event was well attended with reflections on the first year from the Scottish Funding Council, Education Scotland and colleges. We were particularly pleased to have 8 students attend and share their input which was hugely valuable. All HGIOC reports for Year 1 have now been published on the Education Scotland website and we would recommend that student officers read these. 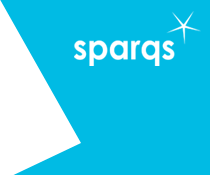 On 2nd February 2017 sparqs hosted an event for student officers, students’ association staff and college quality managers on the new quality arrangements. The day included participation from Education Scotland and the Scottish Funding Council. More information is available on the event webpage. We have run additional workshops on student engagement in the new arrangements at the sparqs conference in March 2017 and at That’s Quality Colleges in August 2017. As the new arrangements bed in we will continue to work with NUS Scotland, Education Scotland, SFC and the College Development Network to ensure that students and students’ associations are supported to engage effectively with How good is our college? The Universities Quality Working Group (UQWG), which oversees the quality arrangements for universities conducted a review of the QEF between 2014-2016. This included a formal consultation with the sector to gather a wide range of views about the quality arrangements. You can read both the sparqs response and the NUS Scotland response to the consultation. The responses conveyed strong support for the QEF and the ethos of enhancement which, it is felt, has been of great benefit to the sector. sparqs was also delighted by the strong commitment shown across the sector to the role of student engagement with submissions showing support for the contributions students have made over the years and an appetite to further develop work in this area. The ELIR (Enhancement-led Institutional Review) cycle has been extended to 5 years. In practice this means that external reviews will take place over 4 years (as before), with an additional year for developmental activities. ELIR 4 will run between 2017-2022. You can read more about the developments made to cycle 4 of ELIR in QAA Scotland’s ELIR Handbook. A national Working Group on Student Engagement was set-up and met during 2016-2017. The remit of the group was to make recommendations to develop student engagement in each element of the QEF. The group was co-chaired by Rob Henthorn, former VP Education at NUS Scotland and included representation from student officers, students’ association staff and sparqs. The final report and recommendations is available here. More information about quality arrangements for universities is detailed in the Scottish Funding Council guidance to higher education institutions on quality (August 2017). As well as the review of the QEF, another recent development has been the UK Government’s introduction of a Teaching Excellence and Student Outcomes Framework (TEF). For Scottish institutions which undergo review of learning and teaching quality through the QEF, participation in TEF is optional. In the first year of the exercise in 2016-17 (TEF 2), 5 Scottish HEIs decided to take part. As TEF matures, sparqs will continue to feed into the national conversations about how the sector responds to the developments in the rest of the UK. Throughout this process we will be working closely with NUS Scotland and other sector agencies to ensure that students are able to continue to engage with and influence this debate. For more information on any of the above you can contact Hannah Clarke.